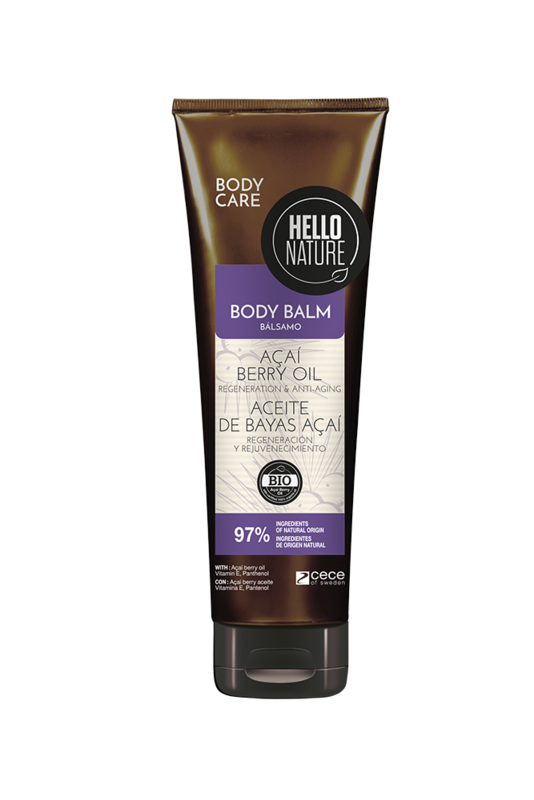 Get carried away with the joy & vigour of Hello Nature line with Açaí berry oil. 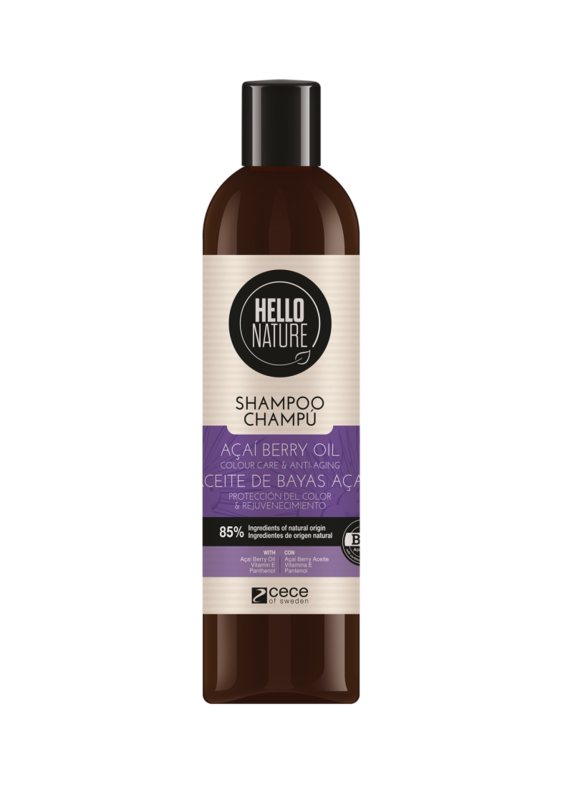 AÇAÍ BERRY OIL shampoo COLOUR CARE AND ANTI-AGING gently cleanses the hair and scalp. It provides intense colour care, restores the elasticity and gives the hair a youthful appearance. 85 % of the ingredients are of natural origin. Directions for use: Massage a small amount of shampoo into wet hair, rinse carefully. Repeat to enjoy youthful-looking hair! AÇAÍ BERRY OIL shampoo COLOUR CARE AND ANTI-AGING. The rich formula brings protective effects on hair. Gives a sense of moisture, makes the hair easier to comb, restores the elasticity and gives the hair a healthy and youthful appearance. 96 % of the ingredients are of natural origin. Directions for use: Apply a small dose to wet hair after using shampoo. Leave for 2-3 minutes, rinse thoroughly and enjoy youthful-looking hair! 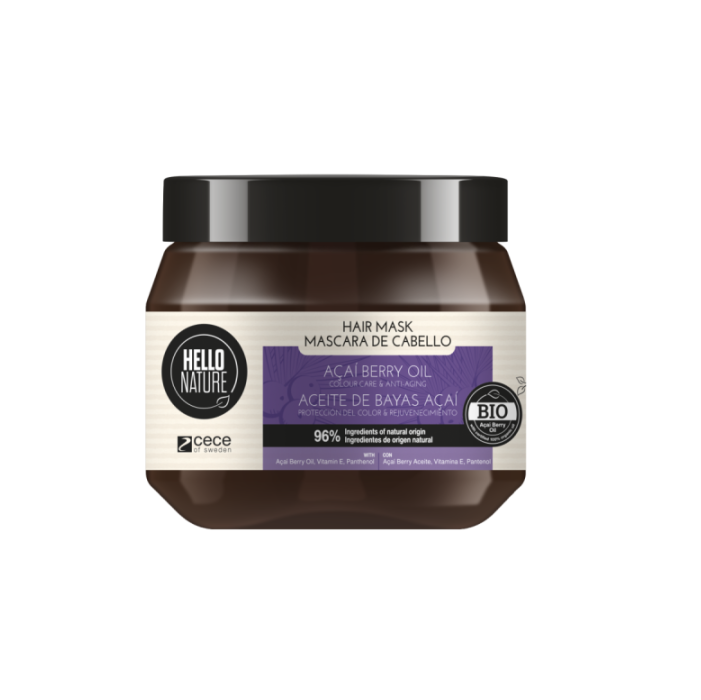 AÇAÍ BERRY OIL mask COLOUR CARE AND ANTI-AGING. The intense treatment of this mask intensely nourishes, protects the colour, restores the elasticity and gives the hair a youthful appearance. Directions for use: Apply a small amount to wet hair after using shampoo. Leave for 10-15 minutes, rinse thoroughly and enjoy youthful-looking hair! AÇAÍ BERRY OIL shower gel REGENERATION AND ANTI-AGING cleanses the skin, improves its elasticity and leaves it deeply moisturized. Your skin is regenerated and feels supple and soft to the touch. 97% of the ingredients are of natural origin. Directions for use: Apply a small amount to wet skin, gently massage until it foams. AÇAÍ BERRY OIL body balm REGENERATION AND ANTI-AGING moisturizes and softens the skin, giving it a velvety touch. Directions for use: Apply a small amount to clean and towel-dried skin, and gently massage until fully absorbed. 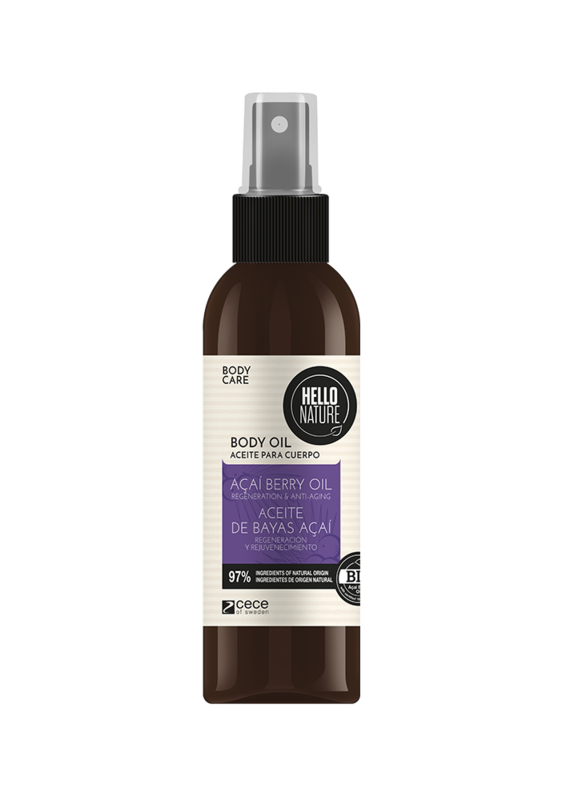 AÇAÍ BERRY OIL REGENERATION AND ANTI-AGING body oil intensly moisturizes and nourishes your skin. 97 % of the ingredients are of natural origin. Directions for use: Pour a few drops of the oil into your palms and rub all over the body. Enjoy youthful radiance. 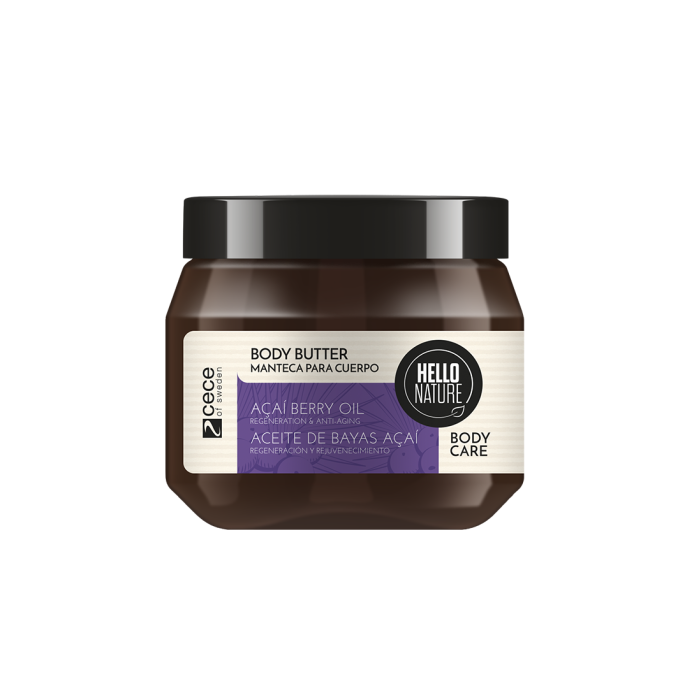 AÇAÍ BERRY OIL REGENERATION AND ANTI-AGING body butter moisturizes and nourishes your skin, restoring its elasticity and healthy radiance. Directions for use: Apply a small amount to clean and tower-dried skin, gently massage until fully absorbed. Enjoy youthful radiance.